Improves Airflow for More Power. A C&L Cold Air Intake completely replaces the restrictive stock air box and inlet tube allowing for a measured increase in airflow for more horsepower, improved torque, and better fuel economy, all while filtering out harmful power robbing particles. More Power . Now you can add even more power to your 2015 2.3L EcoBoost Mustang with a C&L Cold Air Intake and SCT SF4/X4 Combo pack from AmericanMuscle that includes Free Custom Bama Tunes for Life! Improved Airflow. 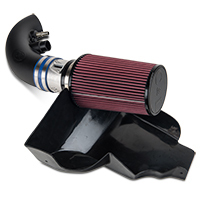 Enjoy the legendary performance advantages of a C&L cold air intake. Their industry leading design replaces your 2.3L EcoBoost Mustang's restrictive stock air box and paper filter element with a high flow intake tube and rechargeable filter for a noticeable increase in horsepower, torque and acceleration. Power you can Tune. The SCT SF4/X4 handheld tuner will allow you to re-tune your Mustangs computer for more power and better drivability. We even included free custom Bama tunes to take full advantage of your new C&L Cold Air Intake! Performance V2 (87-93 Octane) - The Performance V2 Tune offers a seamless blend of power, performance and drive-ability. Improving the overall driving experience of your Ecoboost Mustang, the Bama Performance V2 tune improves vehicle acceleration, increases power throughout the entire RPM, increases turbocharger spool time/responsiveness and improves throttle response with revised timing, fuel, and VCT maps and boost settings. Automatic equipped vehicles offer an aggressive shifting map to provide more aggressive transmission settings. This tune is suggested for the aggressive daily driver that is looking for more "get up and go". Race V2 (91-93 Octane, Race Fuel) - The Race V2 Tune is designed for maximum performance and ensures the largest increase in vehicle performance. Using the highest grade of fuel available in your area is mandatory as boost, timing, VCT, fuel, and throttle response settings are very aggressive. Automatic transmission settings implement entirely new shift points, torque converter changes and firmness settings designed for Track use. This file is designed for "Race Use Only". Technical Note About Fuel. Unleaded race fuel can also be used, but Stoichiometric points must be supplied. Hey Miro Its more wear on the car overall, you can run the race tune daily with out problems, its just such an aggressive tune that most people don't like the way it feels in normal traffic conditions. But hey if you feel like cooking chevys while on your morning commute to work go for it! I am considering purchasing a Roush CAI to see how much it improves my performance on my Eco boost Mustang. Can I add the Bama X4/SF4 Power Flash Tuner later on to further enhance my performance. Absolutely. The addition of custom tunes to this or any cold air intake will absolutely be beneficial for both the cold air intake itself as well as your Mustang as a whole. This can adjust top end speeds yes. The tune remains until it is removed or upgraded. The Bama X4 Tuner will come pre-calibrated with 2 custom tunes for the "Race" and "Performance" options. However, this includes the Tunes For Life Membership which will allow you to have a custom tune written for a 2-Step application. 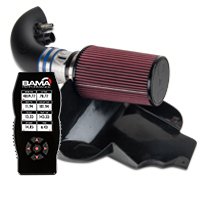 The C&L Cold Air Intake & BAMA X4 Tuner will not cause any increase in engine wear. 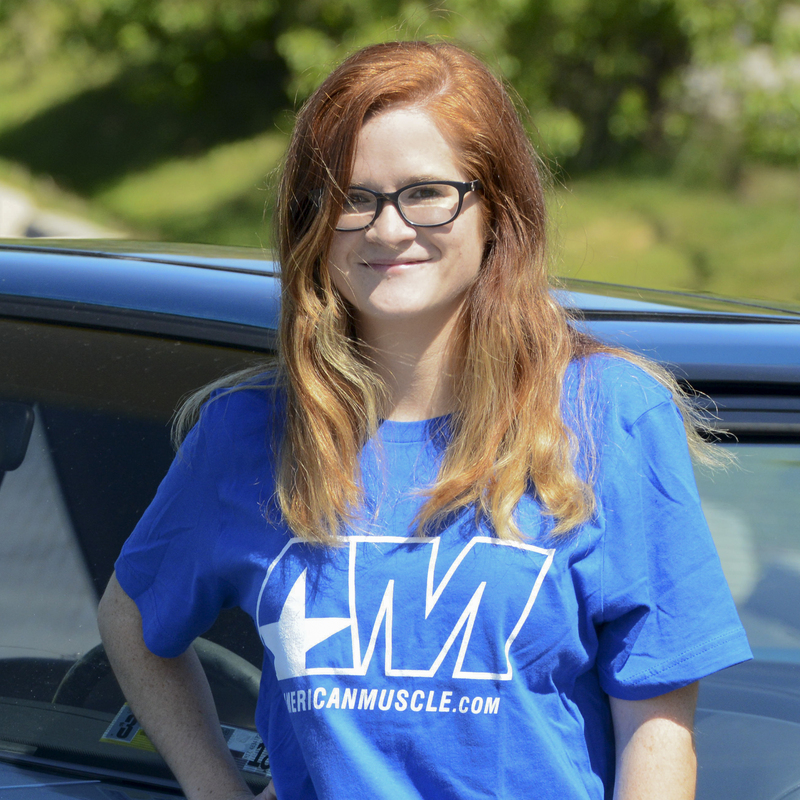 While power is important when Ford designs a vehicle, they also have to take into account a number of factors, such as emissions, noise, vibrations, and harshness, among a number of other things. A cold air intake will provide for increased airflow, but will also increase the amount of noise the engine makes on acceleration. The intake is awesome car runs a couple degrees cooler got like 1mpg more and it does sound great. Plus the clear plastic where you can see the intake looks great. I did a cold air intake with the tuner. It definitely added some power and I'm getting lots more wheel spin. 0-60 hasn't changed much but a rolling pull has definitely changed and improved for the better. Ordered the bama tune and device for my 2018 ecoboost 10 speed automatic with the performance pack. I have a full bolt on vehicle... bone stock my car was running 13.9 at 103 on the quarter mile. And all bama could tune and pull out of my car was a 13.7 at 106. Highly disappointing. Also had my car running very rich, asked for constant retunes with no avail. Wrote me one tune for the wrong serial number and locked out my sct device. Had to send it to sct themselves to have it fixed and they couldn’t save my stock tune file. Takes them several days to a week to even respond to you, just to have a tune that’s no better then stock. Switched to unleashed tuning and torrie has our car running high 12s on a drag pack. Don’t buy bama, waste of money, horrible service. The Recipe for the "Secret Sauce"
I waited a few weeks after installing the tunes from American Muscle's Bama Flash Tuner before writing my review. I wanted to compare all aspects of the upgraded tune to the factory settings. I asked for two tunes, one for 91 octane and one for 93. I elected to install the 91 octane tune knowing that I can find this fuel at most service stations in Northern Michigan but 93 can at times be difficult to find. The first thing I noticed was that my 2015 was much stronger down low. The torque comes on sooner, stronger and helps normal acceleration. It really boosted the engine when the driving was "spirited"! The engine used to run out of "gas" at about 5200rpm. There was no point in running the R's up there as it fell on it's face well below red line. Now the engine power carries well up to 6000rpm's (and then some). I had run 0-60mph times multiple times prior to the tune from American Muscle. After installing the 91, I dropped two tenths from my best time on my FIRST run. My best 1/4 mile is now quicker and 4 mph faster than ever before. This is the Secret Sauce in unlocking the power of the Ecoboost. This is the best dollar for dollar upgrade you can buy. Period!